The Babysitter’s Training course is fun and fast-paced with hands-on activities, exciting video, role-plays and lively discussions. You’ll learn to be the best babysitter on the block. Plus, you’ll gain the confidence to make smart decisions and stay safe in any babysitting situation. Babysitter’s Training Handbook—full-color handbook filled with great information and resources to use in class and on the job. 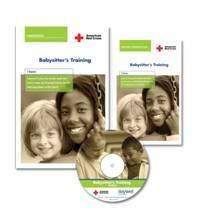 Babysitter’s Training Emergency Reference Guide—this easy-to-carry, compact booklet provides step-by-step instructions to handle common emergencies. Babysitter’s Training CD-ROM—provides tools to run your babysitting business, including a babysitting organizer; a printable activity booklet with games, crafts, songs and recipes; a resume template; and more. 2018 Class Dates Are Now Closed. Check Back in Summer 2019 For More Workshops. Registration: You may register via online here or print, fill out and send this form with a check payable to Kenosha County UW-Extension.